Colorless world in colorless mind... Can a colorless monster scare you? Ever wondered where Herobrine went when he was supposedly 'removed'......and what would happen if he came back? Find out, in this blood-chilling semi-psycological horror map designed to freak you out and mess with your head. Running from an anonymous murder is pretty scary, you have to escape so he can't get you. But what if he already can't? 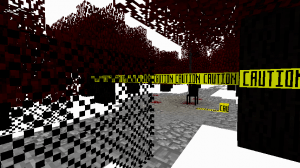 The First Minecraft Horror Map Posted by MCMiner215... You have one question roaming around in your head: "Am I Alone?" 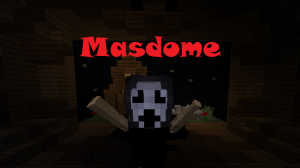 You will start in a theater, where Fred will tell you the story of MasDome. The performance looks like a normal one until.... something happens! You will wake up in a bus and an adventure awaits! You visit your shop as every day, but today isn’t like every day. While you were checking your store, you found a paper says “You’re next.” Then electricity was down. If you like horror maps with an insane person who goes through dream therapy and is in a mental hospital the this is the map for you!!! A Demon Within is an experiment in horror. Using mechanics from popular horror games like Outlast, The Joy of Creation, and Alien Isolation, it attempts to reinvent the Minecraft horror experience and ultimately make you scream.